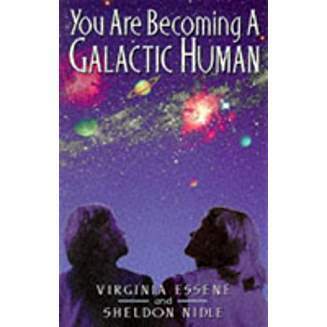 This Book & Gift Store is created to offer easy access to items that we believe will assist in holistic growth as humanity and our planet moves toward ascending to a higher level of conscious awareness regarding the cosmic community in which we live.This is a Family Book & Gift Store, although not the usual Family. This family consists of Dr. Kay Johnson-Gentile, Dr. Scarlett Heinbuch, & Nancy Detweiler, M.Ed., M.Div. It all started with Kay, who-like me-loves Esoteric Astrology. Because I had posted a series of Lessons on Esoteric Astrology on my Pathway to Ascension website, Kay-who is the only other esoteric astrologer I have ever met in person--frequented my website. One day she e-mailed me that she felt we were Soul Sisters. That was the beginning of our very close Soul Sister relationship, with me intuiting that we had been Twin Sisters in a recent past lifetime. The Soul bond between us was still very strong. Meanwhile, Scarlett and I had been friends for years. 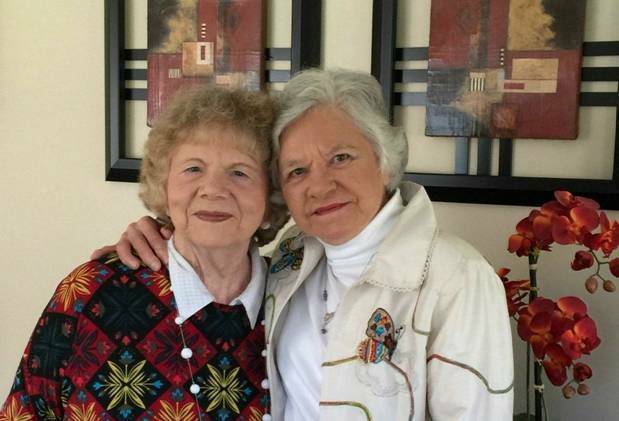 I introduced her to Kay over the internet and phone calls began between Kay and Scarlett, who also felt a Soul Bond. Two years went by as Scarlett and I communicated with Kay on the internet and by phone. Finally, Scarlett and I went to New York to meet Kay. 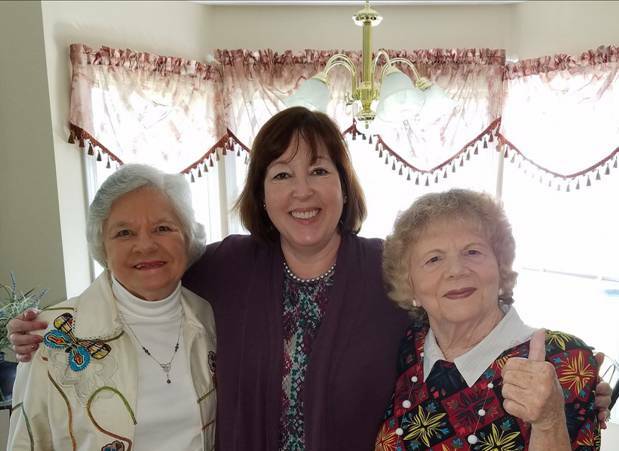 We almost immediately realized that we had been a family in the prior lifetime when Kay and I were Twin Sisters and Scarlett had been our Mother. We lived in London, England. A joyful part of ascending in consciousness is that we begin to meet former members of our Soul Families. Now that Kay, Scarlett, and I have been reunited as former family, that Soul Bond of Love seems to pick up where we left off. In this present lifetime, we are all authors . love to teach, write, and travel. We have all wanted to go to London, England this lifetime. Scarlett is an excellent energy healer, now in her own healing practice. Kay is an Esoteric Astrologer, Spiritual Director, and Music Therapist. 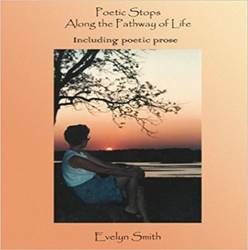 I continue to write for my The Way of Love Blog and my Pathway to Ascension Website on which this Book & Gift Store is based. I wanted a store to which those interested in holistic growth could come and easily find some of the best books the Family has read and found helpful on our spiritual journeys. 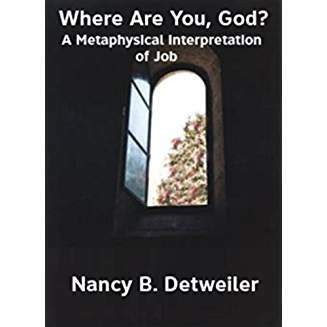 Job's spiritual journey depicts humanity's story from a metaphycial perspective-the goal for all of us is to move from "I have heard of thee by the hearing of the ear, but now my eye sees thee"-to becoming One with God! Job took this same journey to ascension. We can learn much to assist us during our journey by studying a metaphysical interpretation of Job. At the end of Job's journey, he declares to God: "I have heard of thee by the hearing of the ear, but now my eye sees thee." Also Available from Amazon in the United Kingdom, Denmark, France, Spain, Italy, Netherlands, Japan, Brazil, Canada, Mexico, Australia, and India. I wrote the following book in order to bridge the gap between orthodox Christianity during the Age of Pisces and the New Aquarian Age spirituality in which answers to the nagging questions that arise due to the espoused tenets of Christianity can be sought and found that satisfy the seeker's thirst for experiential knowledge of "If God is Love, then why?" My prayer is that Christians know that our Creator wants us to seek and find (Matthew 7:7)-regardless of the Age. What is the New Aquarian Age? Humanity measures time in terms of events occurring sequentially. Simply stated: On a much grander scale than time measured by the hour or day, time is divided into the length of time it takes our Sun to move counterclockwise through one of the 12 segments of heaven, each named for a sign in the astrological Zodiac. Our Sun has completed its passage through the segment called Pisces (indicating the end of one segment of approximately 2,160 years) and emerged into a new segment--called Aquarius. Like characteristics of one century vary from the past century, A New Age differs from the past Age. Referring to the New Age as a Movement has actually created confusion. A New Age is inevitable; just as a new century is inevitable. The characteristics of the New Aquarian Age will be increasingly focused on the brother/sisterhood of all intelligent beings within the cosmic family of God. The characteristics of the zodiac sign Aquarius are symbolized by the Waterbearer-the one who pours out into the world what is needed to become all that humanity can be. My book, A New Age Christian: My Spiritual Journey, is the story of my search for answers to questions pondered during the Age of Pisces that continue to hold meaning into the New Age of Aquarius. If God is love, then why ...? With this question searing its way into my consciousness, I embark on my search for answers that make sense and satisfy my inquisitive mind. A New Age Christian is the account of my search. I write in the present tense, allowing the reader to walk beside me as I seek Truth. Together, we travel to Honduras and bring back a ten year old girl. Together, we struggle in the valleys and rejoice on the mountain-tops as I learn to integrate Truth into my lifestyle. We explore a metaphysical interpretation of the Bible and find therein the concept of reincarnation, karma, kundalini energy, astrology, divination, numerology and more. We find the answer to why good people suffer ... why some are born with physical handicaps ... why life has great depth of meaning even when we are in despair. Together, we trod the pathway through my dark night of the soul, moving ever closer to the light at the end of the dark tunnel. And, in the end, we know ... God is love, pure love! This is an inspiring story of one woman's personal transformation from breast cancer, and how the music of John Denver served as a springboard to help extricate her from severe depression brought on by the disease and its radical treatment.The book demonstrates the power of music as a therapeutic tool for rehabilitation from illness and how life's darkest, most challenging moments can be times of positive transformation. 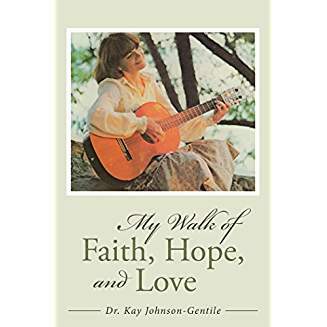 These songs were composed while Dr. Kay faced her own challenges recovering from breast cancer. The songs relate to particular personal tests we all encounter on our life journey, offering positive guidance and understanding. The song "I Am the Artist" reminds us that our life is what we make; "Yes, I Can" encourages us to face life's challenges with the knowledge that we can successfully overcome them. 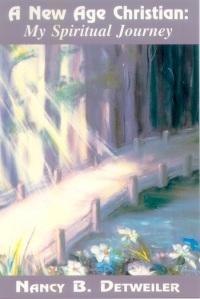 It is a CD to which we can turn as we would call on a friend for encouragement and understanding. 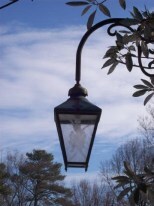 "The Magic Lamp" reminds us: "The genie is the Spirit deep in me. By tuning in and turning on, I play my role, become all I can be." 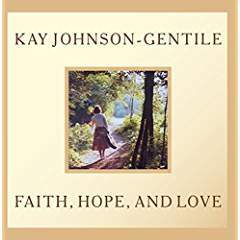 Dr. Kay, a music therapist and former college professor, shares her knowledge through music that Faith, Hope, and Love will see us through the rough times! You cannot listen to this CD and come away without feeling inspired to continue on because you know the woman whose voice you hear has indeed overcome tremendous challenges of her own! That's why "Faith, Hope, Love" is what she so lovingly sells to you! Yes, you can do it too! Scarlett met David for the first time in September 2005 when David was on the brink of death. He had been in an unresponsive coma for nearly four weeks, on a ventilator for life support and in complete kidney failure due to a rare form of vasculitis. Scarlett spent 12 days doing energy healing with David. During that time, they had a Shared Near-Death Experience (SNDE) resulting in an unexplained medical recovery for David and an unexpected love story for them both. 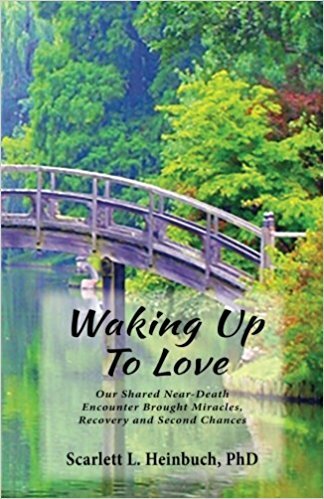 The story of two people who woke up to a world of love on the other side and were able to bring it back to earth-together-will inspire others to know that the transformative power of healing love exists and can be applied in everyday life. We often hear the term "ALL IS ONE!" This story is a beautiful, loving illustration of how that Oneness is present in our daily lives. 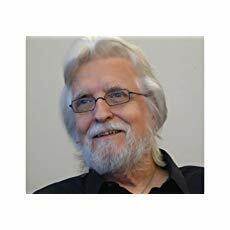 Neale Donald Walsch has written a series of books that are easy to understand and which will be very valuable in the coming days, as Christians learn of the misconceptions the religious community has propagated and on which many have based the belief system by which they live. In order to prepare and avoid the trauma that can occur when it feels like the rug has pulled out from under you, I suggest reading as many of Walsch's books as you can. 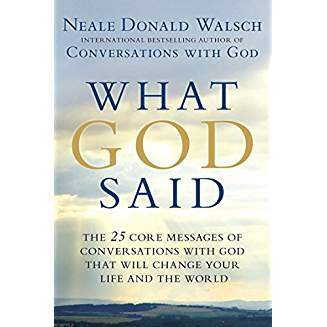 His last book, What God Said, contains the 25 core messages found in his Conversations With God series. 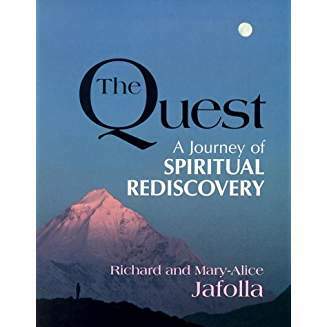 I recommend the following books because, as my friends, I watched the authors' spiritual journey and know that they integrated well into their daily lives the means of dealing with life's challenges that their writings detail or illustrate. I knew Gloria as a friend and internationally esteemed spiritual growth teacher. Where Two Worlds Touch introduces you to the Seven Principles of Conscious Change and shows you that the mundane details of everyday life offer rich fuel for personal evolution. Acclaimed spiritual teach Gloria Karpinski opens up a new world where pain offers as much opportunity for growth as pleasure, where inner awareness is brought into outer expression, and where body, mind, and spirit can at last become one. by our craftsmanship in the world." Spiritual seekers in the 21st century take many forms, from the visionary and futurist to the social activist and rebel. Yet whatever your inner calling, writes internationally renowned teacher Gloria Karpinski, you can benefit from the practical guidance of other seekers on how best to manifest your spiritual intentions in the nitty-gritty reality of everyday life. 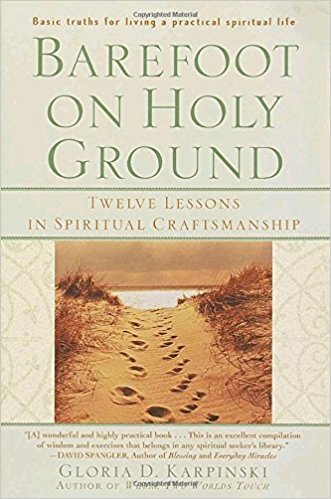 Barefoot on Holy Ground helps you learn how to call forth the good in every circumstance and use it to further your mission and consciousness.... 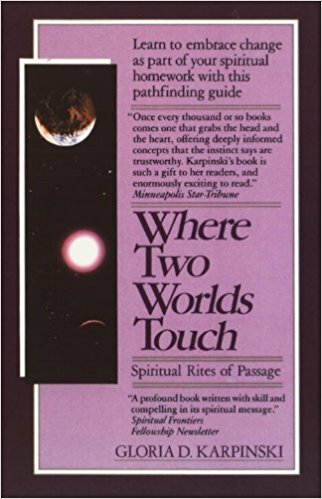 Drawing on the wisdom of ancient scriptures and contemporary thinkers from many world traditions, tapping into her own and other disciples' real-life stories and insights, Karpinski shares the Twelve Lessons of Spiritual Craftsmanship that are essential to the disciple's path. Ellie is known by her friends as "the wise one." She does excellently what ALL of us are capable of-she asks questions of Spirit and then, listens! Published in November, 2017, I have yet to read this book by Ellie; but can assure you that anything Ellie writes is powerful and right on target to your needs. 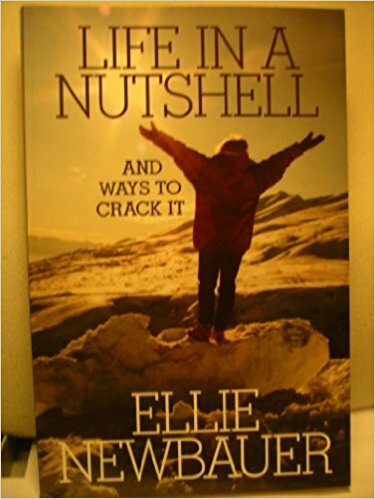 A major way in which Ellie deals with life is with humor.This book will have you laughing and viewing your life situation from a different perspective, if only for a moment.But the crack in your understanding is made and what's more, your laughter created the crack! This dear woman defied society's expectations of "a woman" and created a beautiful life for herself and family.Now in her latter 90s, to visit with Ellie is still a special treat! 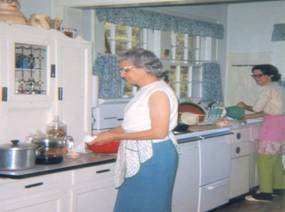 She moved to North Carolina from Richmond years ago-to convert her lake home into a retreat center-and I still miss stopping by her home whenever I pass the street leading to her home. She is most definitely one of a kind! I still have to smile when I remember asking, "You did what?!!! I knew whatever it was, she had fun doing it! On the face of it, Ellie Newbauer has lived the life she was expected to have-got married, bore children, made a home, went to church, and supported her community causes. On the face of it. 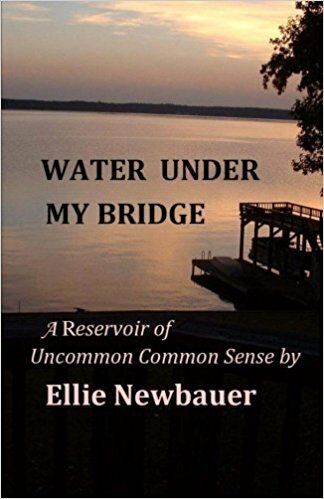 Ellie's book, "Water Under My Bridge" is the story of how she broke ranks and decided to occupy her own life. 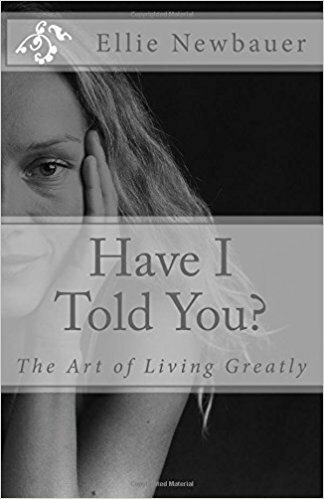 This memoir is full of the wisdom that comes from giving up the life others would choose for us and choosing instead to heed the unique guidance system that is standard issue in every human. Ellie's story is universal in the sense that each of us holds the key to our own best life. When you face this, you'll have work to do. This is Ellie's story, told deftly, authentically, with great love and compassion. This is her story told with humor, grace, gratitude, and deep honesty. As Queen of her own life, Ellie makes and breaks rules as she sees fit, and is therefore living happily ever after. THE FOLLOWING ARE BOOKS REFERENCED IN MY BOOK, A NEW AGE CHRISTIAN: My Spiritual Journey. 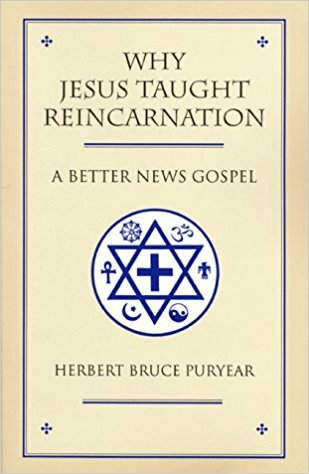 "Dr. Puryear makes a powerful and eloquent case for the evidence of reincarnation teachings throughout the bible, with special focus on the philosophy and teachings of Jesus. In particular, Dr. Puryear hoped to reach the 25 million Americans who profess a belief in the bible, believe in the teachings of Jesus and also have an interest in reincarnation teachings." "The Bible is more than anything else a Near Eastern account of spiritual events and teachings. In his seminal work, Dr. Errico builds a bridge between Western ways of understanding and Near Eastern social realities that are embedded in the Bible. He helps us see the Bible through Semitic, Aramaic eyes. Bypassing doctrinal creeds and rigid interpretations, he judiciously corrects numerous errors and misleading literal translations that have caused confusion for centuries. 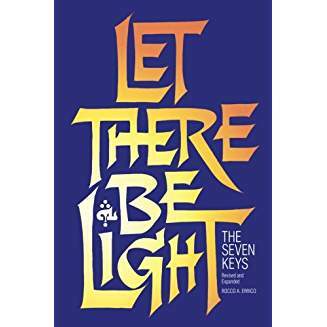 This book equips the reader with seven key insights to understand the allusions, parables, and teachings of the Bible, opening the door to the ancient Aramaic world from which the Bible emerged." "A glorious day is dawning for planet Earth and for this global civilization. It may well be the "end time" mentioned in Biblical and other religious and indigenous people's prophecies. This "end time" will bring our ascension/transformation into a fully conscious galactic human and the creation (on Earth and in this solar system) of a true human galactic civilization with full membership in the Galactic Federation." Knowing the history of the Christian Church can be very helpful in understanding how human beings have influenced its teachings. I highly recommend this book. 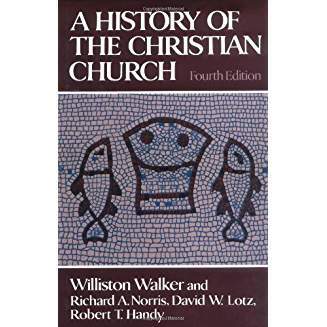 "Since publication of the first edition in 1918, A History of the Christian Church by Williston Walker has enjoyed outstanding success and recognition as a classic in the field. 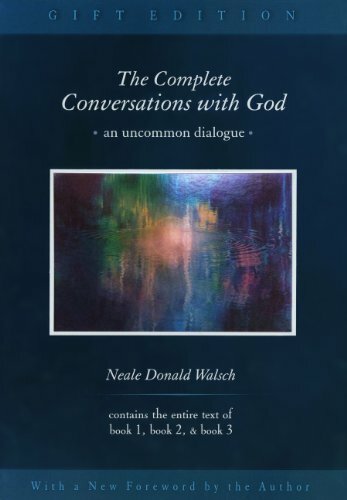 Written by an eminent theologian, it combines in its narrative a rare blend of clarity, unity, and balance. In light of significant advances in scholarship in recent years, extensive revisions have been made to this fourth edition. Three scholars from Union Theological Seminary in New York have incorporated new historical discoveries and provided fresh interpretations of various periods in church history from the first century to the twentieth. The result is a thoroughly updated history which preserves the tenor and structure of Walker's original, unparalleled text." 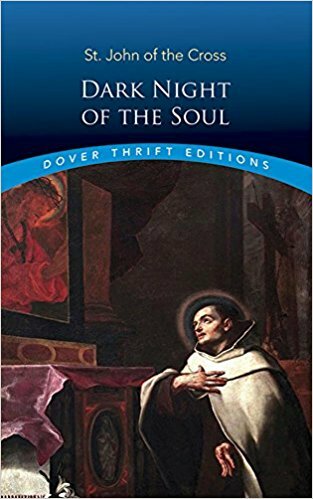 "The great Spanish mystic St. John of the Cross became a Carmelite monk in 1563 and helped St. Teresa of Avila to reform the Carmelite order - enduring persecution and imprisonment for his efforts. Both in his writing and in his life, he demonstrated eloquently his love for God. His written thoughts on man's relationship with God were literacy endeavors that placed him on an intellectual and philosophical level with such great writers as St. Augustine and Thomas Aquinas. In this work - a spiritual masterpiece and classic of Christian literature and mysticism - he addresses several subjects, among them pride, avarice, envy, and other human imperfections. His discussion of the "dark night of the spirit," which considers afflictions and pain suffered by the soul, is followed by an extended explanation of divine love and the soul's exultant union with God." "Newly updated to showcase color photographs, this spiritual classic presents the history and philosophy of Scotland's Findhorn Community. Findhorn was founded more than 40 years ago in far northeast Scotland on windswept and barren sand dunes that happened to sprout a miraculous garden. Plants, flowers, trees, and organic vegetables of enormous sizes began to grow in a small plot around the 30-foot caravan trailer inhabited by three adults and three children living on meager unemployment benefits. Guidance by God and absolute faith in the art of manifestation led the occupants to this unlikely locale to create a magnetic center that would draw people from all over the world. 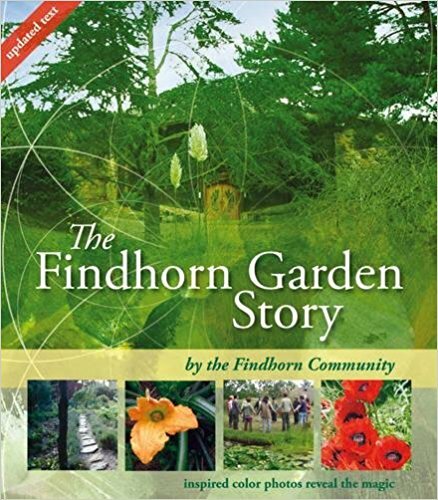 Their discovery of how to contact and cooperate with the nature spirits and devas that made the garden possible sparked a phenomenon that continues today, as Findhorn has grown into a thriving village housing hundreds of people from all over the world and an internationally recognized spiritual-learning center." Anatomy of the Spirit: The Seven Stages of Power & Healing, by Caroline Myss, Ph.D.
"The Quest offers a fresh, contemporary, and comprehensive presentation of spiritual principles." 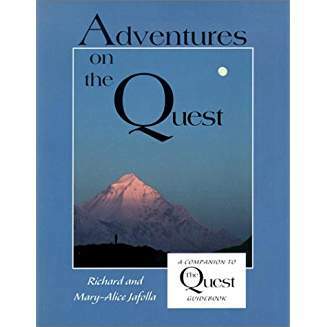 Adventures on the Quest launches you upon a dynamic journey in living spiritual principles. This companion activity book to The Quest will help you translate your growing awareness of Truth into daily thoughts and actions. Every weekly adventure explores a different aspect of spiritual Truth, presented clearly and simply. On your journey, you'll investigate the Truth about healing, prosperity, guidance, the presence of God in your life and more. "In his revolutionary book Miracles Happen, Brian Weiss M.D., the New York Times bestselling author of Many Lives, Many Masters, examines the physical, emotional, and spiritual healing that is possible when you freely accept and embrace the reality of reincarnation. Trained as a traditional psychotherapist, Dr. Weiss began to explore how reincarnation and past life regression can lead us to our higher selves after a startling encounter with a patient. 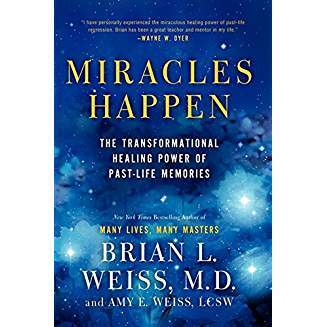 Now a leading proponent of past-life therapy, Dr. Weiss shows us that, indeed, Miracles Happen, with seemingly incredible but true stories that demonstrate how, by getting in touch with and understanding our past lives, we can dramatically improve the present. I highly recommend this book to everyone! 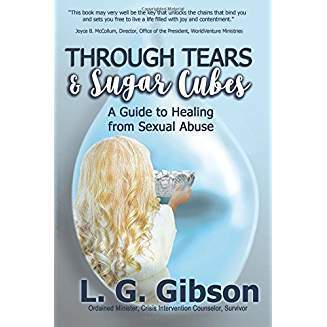 We can all gain by reading it because Gibson takes us through a healing process that extends to all kinds of traumatic experiences creating a need for emotional and mental healing. For me, it was the first time I had seen biblical verses applied to a healing journey in a way that made them come alive. PARENTS: You can enhance your ability to be there for your children by reading this book. 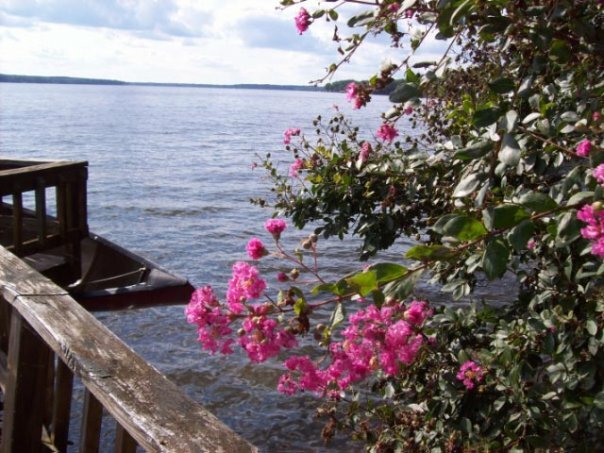 I was saddened by the fact that Gibson's parents were unknowingly unavailable because they were young and did not know to be sure both their sons and daughters had been assured of their continuing LOVE no matter what. Gibson was very young when the abuse started and was easily convinced her parents would not continue to love her if she told them about their friend's abuse. As parents, we can begin telling our children from the beginning of their lives that we will always love them. that nothing will cause us to stop loving them . that they can always talk to us and tell us what concerns them. I am also a big fan of choosing GODPARENTS for our children. That way, our children will most likely have someone with whom they can confide. I told my daughter that if she did not feel she could talk to me, talk to her godmother. As the sister of the life-long friend Gibson mentions in her book, I am so very thankful that Joyce stuck with Gibson and encouraged her to write this book. I feel sure it will be a God-send to many as they seek healing from their life experiences! God is richly blessing Gibson as she fulfills her Soul Mission! YOU can do it too! A piece of my Mother's love. Hanging on a nail. Beside the kitchen sink. "Two and a half decades ago, Ascended Master Teachers Arten and Pursah appeared to Gary Renard and held a series of conversations with him that elaborated on the teachings of two spiritual classics, The Gospel of Thomas and A Course in Miracles. Gary immortalized what he learned in the books of his best-selling series: The Disappearance of the Universe, Your Immortal Reality, and Love Has Forgotten No One. This fourth book is a companion to the original trilogy, yet written to stand alone, an invitation for new readers into this fascinating work. 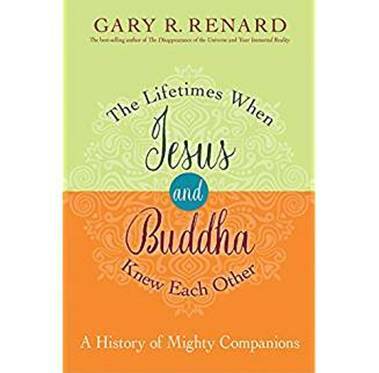 This book explores six of the lifetimes in which the incarnations of Jesus and Buddha lived together, beginning in 700 B.C. when they were known as Saka and Hiroji. Arten and Pursah, through the spiritual lessons that Jesus and Buddha learn on their path, clarify the difference between duality and non-duality. When you are able to internalize these lessons, you will be saved countless years in your spiritual development. "Jesus promised that those who truly put his teachings into practice would do all the wonders he did and greater. Why then, even after 2,000 years, has there never yet been any significant sign of these wonders happening in any of the more than 20,000 Christian Churches and Congregations that are proud to bear his name today? The Crucifixion took place on the eve of Passover. That major Jewish Festival centered on the sacrifice of a lamb on the altar of the Temple. The shedding of its blood was believed to wash our sins in the sight of God. It was almost inevitable that the earliest followers of Jesus would have tied Jesus to the Sacrificial Lamb of Passover. Over the centuries this warped belief that Jesus is a Suffering Savior, who came here to die for our sins, has dealt a crippling blow to the emergence of the spiritual power that he promised us. There is hope. This book assaults those crippling beliefs by an investigation that ranges through history, the religious mindset, and the workings of the brain. It shows how we can learn to change these deeply embedded and subconscious programs. As Jesus said: "Those who have ears to hear let them hear." 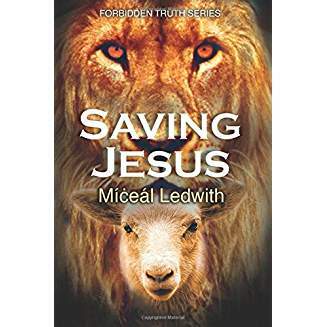 During this time of transition into the New Aquarian Golden Age, Ledwith's book SAVING JESUS will be of great assistance in helping Christians move from the traditional doctrines created by man to the Truth of what Jesus taught. If Jesus taught forgiveness, why then has the church taught a God who cannot forgive and created a hell for eternal punishment instead? I, for one, asked questions like this as a young child. Ledwith's book SAVING JESUS will assist Christians in formulating a true comprehension of Jesus and his teachings-one not riddled with contradictions and that feels intuitively right.